What is Art if it cannot be expressed? What are the unique ways in which Carnatic music can be expressed? Read on and find out! As is the case with most other systems of the world, Carnatic music also uses the human voice as well as several instruments of both Indian and Western origin. As already stated in the introductory section, there is an amazing open-mindedness when in comes to adopting good things from other systems. Several instruments like the violin, mandolin, guitar and the saxophone have been adopted successfully, of course, with a few modifications to suit the requirements of Carnatic music. Let us now examine the role of each of these in Carnatic music. Of the innumerable instruments developed by man, very few can match the most natural instrument - the voice. Carnatic music gives pride of place to Vocal music. This is because vocal music has the added dimension of lyrics, which is one of the basic components of Carnatic music. A vocalist can project the lyrics and the theme of the music the best. Even the melody instruments try to approximate to vocal standards. Hence, a student interested in instrumental music career generally learns vocal first and then repeats the music on the instrument. Singing can be defined as the musical expression of feeling through the medium of vocal organs and the organs of speech. The technique of voice production for singing is more complex than it is for speech, as this requires the control of three sets of muscles - inspiration and expiration (respiratory muscles), phonation (intra and extra-laryngeal muscles) and those of articulation (muscles of tongue, jaw, lips and soft palate). A Carnatic vocalist is expected to possess a voice that is rich in tone and volume, has depth and is capable of sustaining different notes for a long periods without any wobble. He/she must also possess a range of at least two and a half octaves and execute with clarity and verve, phrases of different tempo. The various embellishments or ornamentations (gamakas) and tonal shades should be aptly produced for rendering different types of musical compositions and other creative aspects of Carnatic music. The technical exercises and compositions of Carnatic music are designed to impart all the above. Of course, the student must have the right attitude, technical guidance and perseverance! 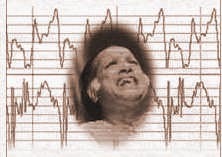 Though vocal music is popular among those who are sufficiently exposed to Carnatic music, the unexposed listener invariably gravitates to instrumental music. Instruments can be classified into 4 categories namely, Stringed, Wind, Percussion and others. Let’s see a few of the principal ones in use today.